This Laser Engraved and Die Cut Label material offers superb durability in harsh conditions and can be laser marked and cut to any shape or size during the marking process. 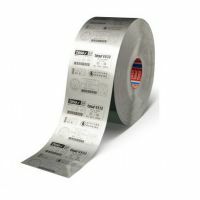 Easy to engrave, tesa® Secure™ can be processed on low power laser markers in both CO2, Fiber and Nd:Yag wavelengths removing the hassle of buying pre die cut labels and ribbons for Thermal Printing. In addition to exceptional adhesion qualities, a standard tamper evident design prevents the label from being removed in one piece once it is applied. Advanced security features such as embossed logos and microscripting are available to enhance resistance to forgery. 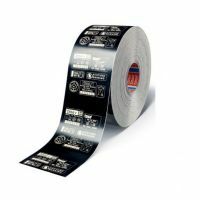 tesa® 6940™ Laser Tape 6940™ Rapid has a thinner substrate designed to achieve faster laser marking speeds. 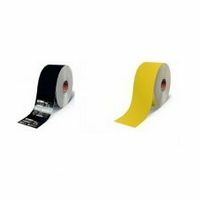 tesa® 6930™ Laser Tape 6930™ material has been specified for use by a number of major automotive manufacturers.